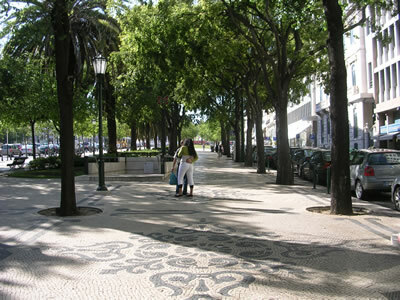 Beautiful Avenida da Liberdade (Liberty Avenue) is located between Restauradores Square and Marquis of Pombal Square. The Avenue was built between 1879 and 1882. 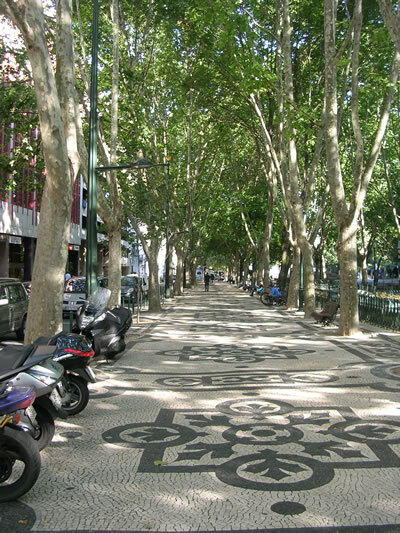 This broad boulevard, with a pedestrianised centre in the middle, is the Portuguese equivalent of the Champs Elysees. It’s a lovely avenue to wander down, with cafes where you can take a break. If you are looking for luxury international brands you will find here f.i. 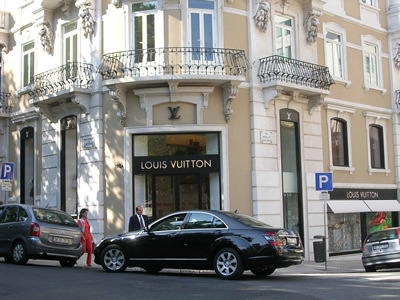 Luis Vuitton, Emporio Armani and Escada fashionable boutiques. Be prepared: the prices are the same as in any of these shops in London or Paris. 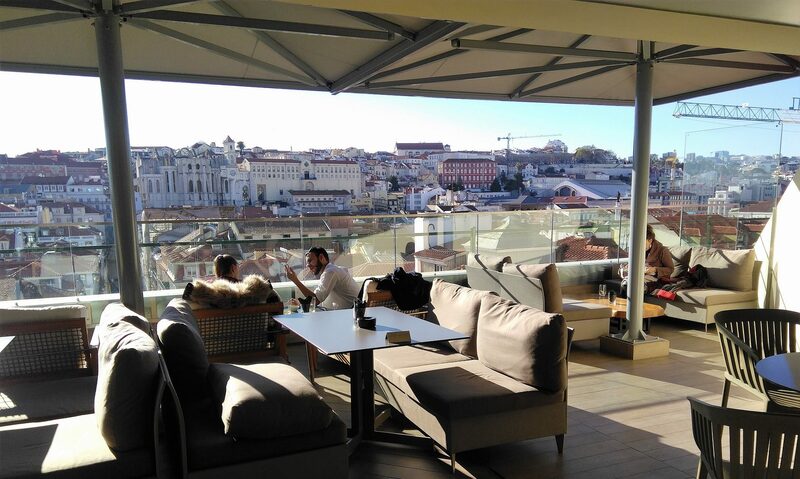 Economic crisis in Portugal? 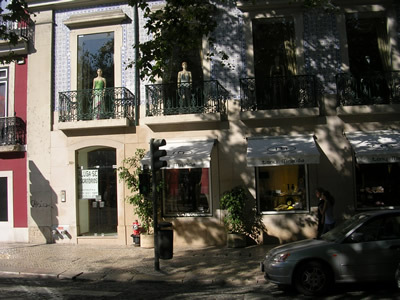 Prada does not believe in the miserable economic situation in Portugal and opened a store in Lisbon in 2010 . 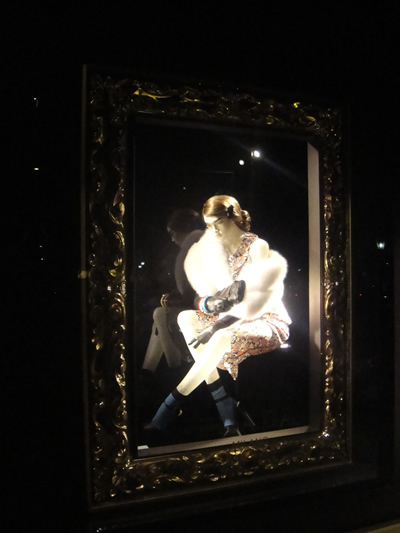 It was a long search for the location, because Miuccia Prada did not want just any shop. 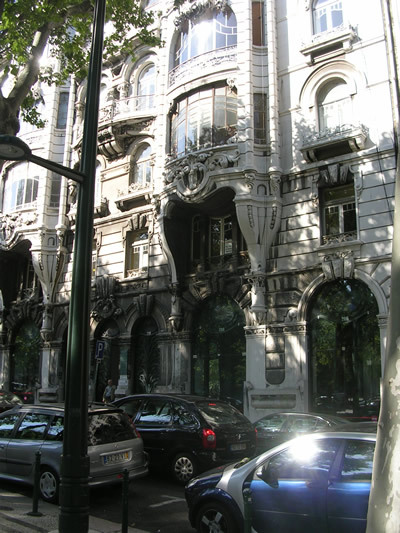 It eventually became a building on the Avenida de Liberdade, one of Lisbon’s main shopping streets. Two floors and 650 m2 of clothing, make-up and perfume. Many of the original buildings of the avenue have been replaced in the last decades by tall offices and hotel buildings. 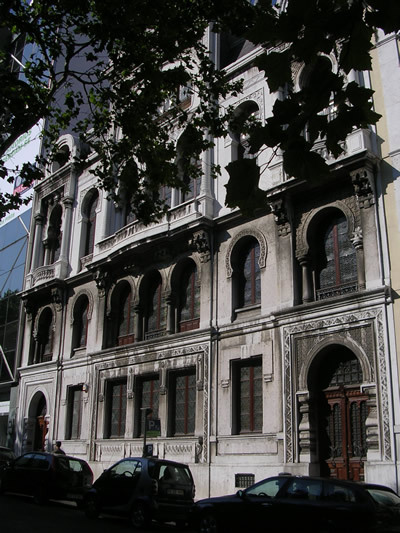 Nowadays it boasts several interesting buildings that reflect Portuguese architecture from the late 19th through the early 21st centuries and the Moorish influence.